Whitefish Community Foundation offers competitive administrative fees on Donor Advised Funds. The fees collected benefit the operations of the Whitefish Community Foundation. Fees cover the expenses of operating a Donor Advised fund. Donor Advised Fund holders enjoy online access to review your account, submit a grant request, review your monthly balance, and review your annual performance. Advisors are able to recommend an investment allocation that matches their giving timeline. Whitefish Community Foundation’s philanthropic advisor is available to meet with fund advisors to review your donation history, assist with grants administration, and offer charitable giving advice. Phone and email support is available.  The Community Foundation is here to make it easy for you to recommend a grant to your charitable interests. Additional investment fee on assests in the investment program. A minimum administrative fee of $100 or 0.60% is charged annually on Donor Advised Funds. Professionally managed accounts through the Outside Investor Program are available. Account minimum for the Outside Investor Program is $500,000. Donors may recommend an independent investment advisor but Whitefish Community Foundation must approve the recommendation. Advisors must meet certain eligibility requirements and adhere to the Whitefish Community Foundation fee structure and investment guidelines. For more information please call us at 406-863-1781.